Home » Posts Page » BGU News » Are We Enlightened Yet? While there is no question that the Enlightenment was the attempt to expose what its leaders believed was a religious myth called Christianity, we must remember that both the nineteenth and twentieth centuries saw the greatest numerical expansion of the global Christian church in human history, and that even in the West, the church has survived and in many places, thrived. Yet, we must ask, who is right? Are the skeptics correct that our scientific age has made religious belief impossible, or are the Christians right in saying that God is not dead? Could it be that the rapid growth of Christianity worldwide is just the death throws of a dying religion as it still holds sway over the superstitious who inhabit the Third World? After all, isn’t the church shrinking in the West? This is a huge question, too large for a single blog post, so I want to pare it down to look in very general terms at how the Christian church responded and continues to respond to the forces of the Enlightenment. In the early years of the Enlightenment, the age of Voltaire, Rousseau, Hume, and Kant, the Evangelical church mostly ignored the world of philosophy and simply went about their business of preaching the Gospel. It is worth noting that the time of the revolutions (America, 1776 & French, 1789) and the heyday of philosophy (Hume & Kant), was also the time of the Great Awakening in both England and America. 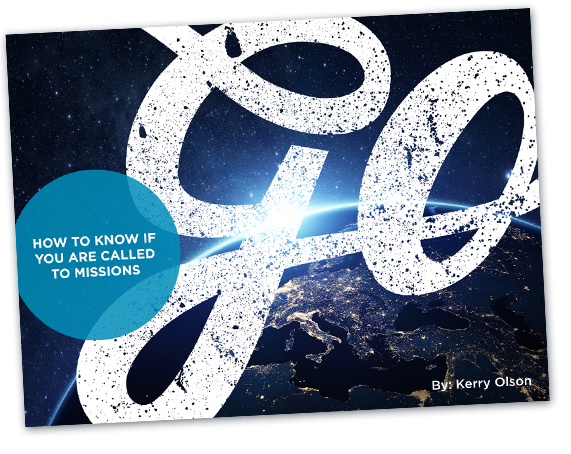 One of the significant results of these revivals was the birth and expansion of missions. A case can be made that one of the characteristics of all revivals is that they result in an increased involvement in missions both in numbers of missionaries and in support and engagement by the affected churches. For example, pietism (a revival in its own right) resulted in the Danish-Halle mission and the Moravians, and the Great Awakening gave us William Carey and the first American missionaries (sent around 1812) as part of the great wave of evangelical missions that marked the nineteenth century. In other words, while philosophers were attempting to deny the possibility of miracles and to debunk natural theology (nature reveals the existence of God), God was performing miracles in people’s lives, calling them to take the Gospel to the ends of the earth, and enabling the incredible growth of the global church that continues to this day. These two dramatic and historic movements almost literally were “like two ships passing in the night.” Each one nearly oblivious to the other. At the time, the Great Awakening was more momentous and impacted the general population to a far greater extent that the Enlightenment. The Great Awakening produced dramatic social change in England and America, bringing prison reform, education and social reform, and the abolition of slavery to England, while dramatically shaping American culture and laying the ground work for the civil war and the end of slavery in America. Yet, the Enlightenment, born of philosophers and intellectuals, gained an ever increasing foothold in the academic institutions of the West. And, those who control the educational system, ultimately control the culture. Whether it was intentional or not, the forces of the Enlightenment were playing the long game. By the middle of the twentieth century, all of the major Protestant denominations (Lutheran, Presbyterian, Methodist, & Episcopalian) had been coopted by theological liberalism and the majority of their churches ceased giving a clear and intentional proclamation of the gospel. They instead became centers of the “Social Gospel” as they advocated for an end to the social ills of racism, poverty, and inequality. This move toward liberalism created a strong backlash among the committed Christians within and outside these denominations. Many split off from the parent denominations to create conservative alternatives, such as the Presbyterian Church in America (PCA). Others moved to the remaining conservative denominations such as the Baptists, various evangelical denominations, and the growing numbers of independent/interdenominational churches that were being established at this time. This was also the time of the Bible college movement as an alternative to secular universities and seminaries, along with the development of Christian radio, publishing, and other alternative institutions to serve the conservative Christian community. This was all part of a strategy of separation that has served to disenfranchise biblical Christianity from the larger society. And, whether we realized it or not, left evangelical Christianity an increasingly marginalized counter-culture with little or no voice in the larger American society. One of the reasons for this strategy of separation was the belief that the solution to the growing secularism in America was revival. This view was actually founded on a good deal of historical evidence. American culture, literally from its founding had been periodically transformed and shaped by a series of significant revivals. As we already mentioned, the Great Awakening had a clear American component beginning with Jonathan Edwards, the preaching of George Whitefield in Boston, and the spread of the Methodist circuit riders across the frontier. A second major revival originated with Charles Finney in New England and the camp meetings in the South. Both of these movements had a visible impact on American culture, and were seen as examples of how important revival was to the spiritual and material well being of the society. It was to encourage, pray for, and work for revival that caused the church of this generation to separate from the larger culture. There is certainly merit to this approach. In my lifetime, there have been at least two significant identifiable moves of God that impacted thousands of individuals and families. The first was the Jesus Movement of the 60s which profoundly impacted my generation. Many of my classmates at Bethany came to the Lord in this move of God. The second, that greatly impacted my family was the Charismatic movement in the Catholic, Lutheran, and Episcopal churches. The movement spread out beyond these denominations to have a significant impact on that generation. By this means, whole churches, families, and even communities were transformed. But there is a fundamental difference between these recent revivals and those of the eighteenth and nineteenth centuries, the older revivals affected the whole culture, while these later movements only affected some of the people in the culture while leaving the larger culture unchanged. There are several reasons for this reduced impact, but one of root causes was the dominance of secularism in the larger society. As a result, many of the beliefs and values that were held in common by Christians and non-Christians alike in previous generations we no longer held in common, and this disconnect makes it increasingly difficult to share the Gospel with people today. As James Davison Hunter has argued the grass-roots approach to cultural change is very difficult and ineffective, and that recent history shows that the groups that made the effort to dominate the institutions of influence (education, law, media, and politics) have come to hold sway over American society. We already cited the control of American seminaries by liberal theologians. We also see the ways that the leftist student radicals (who were radicalized by the leftist professors of that generation such as Herbert Marcuse) of the 60s earned their Ph.D.s, thus leftist politics came to dominate our colleges and law schools for the past several generations. This is part of the reason there is such a large disconnect between our Christian values and the values of the larger society in our day. I wish there was an easy answer to this serious problem. There is not. We certainly need to pray. We also need to recognize that we are a counter-culture, and act accordingly (and unappolgetically) in defending and living out our values. And we need to share our faith whenever and wherever we can, knowing that Jesus’ call to be salt and light surely applies to our dark and thirsty time. From:: Are We Enlightened Yet?